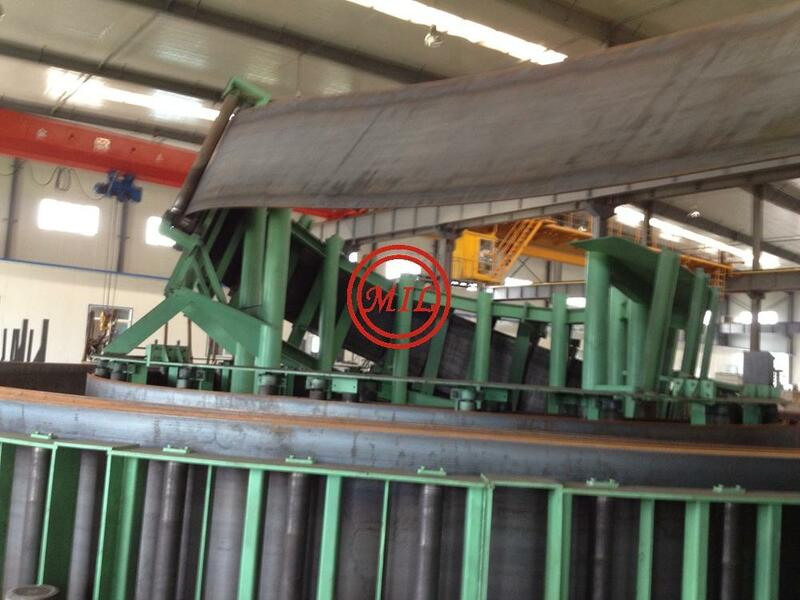 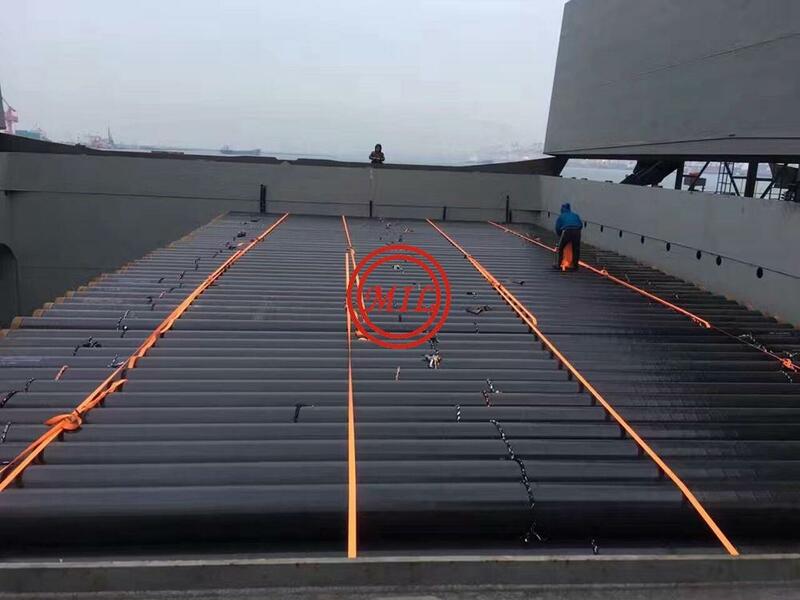 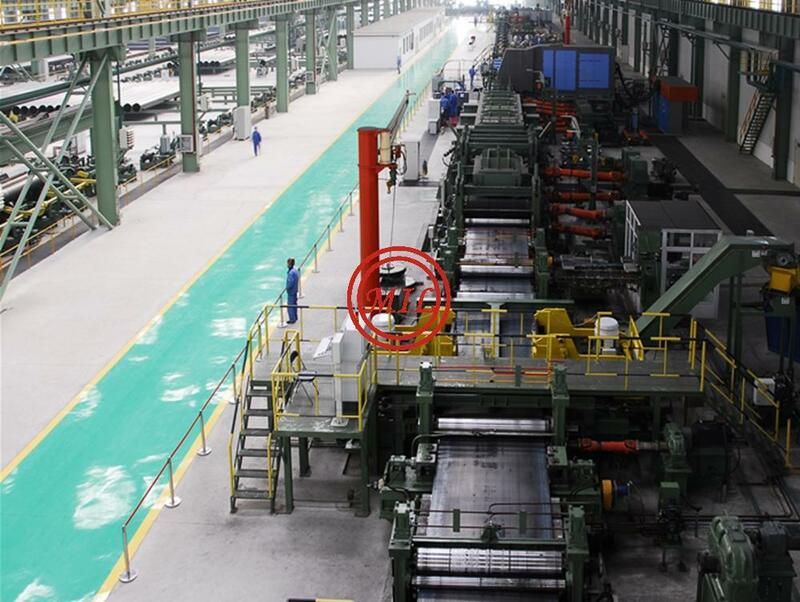 Strip is unwound from coils and side-trimmed to control width and condition the edges for welding. 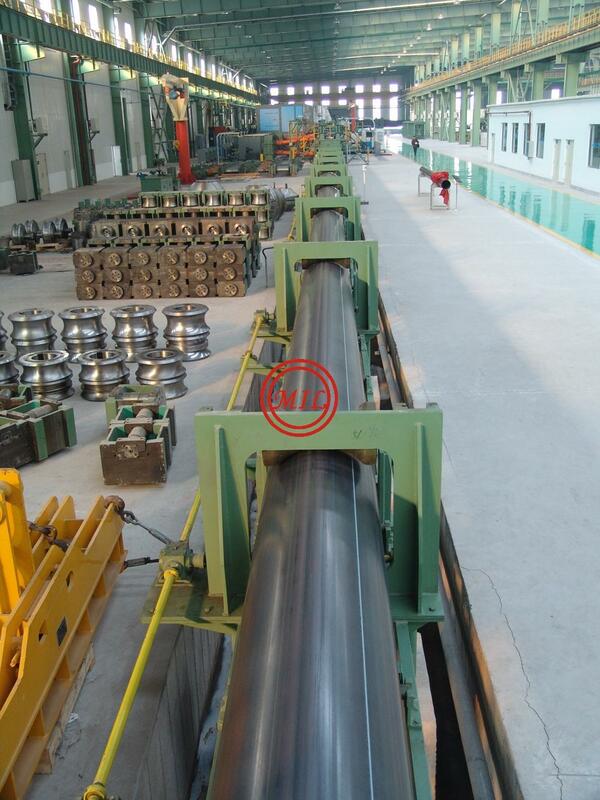 The strip then passes through a series of contoured rolls which progressively cold-form it into a circular shape. 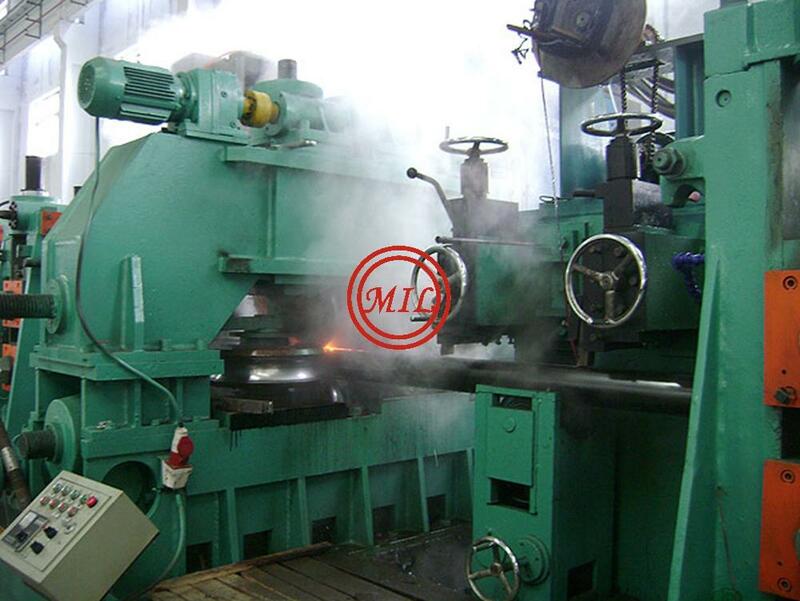 The edges are forced together under pressure and welded by heating the steel to temperatures between 2200° F and 2600° F using copper contacts or coil induction. 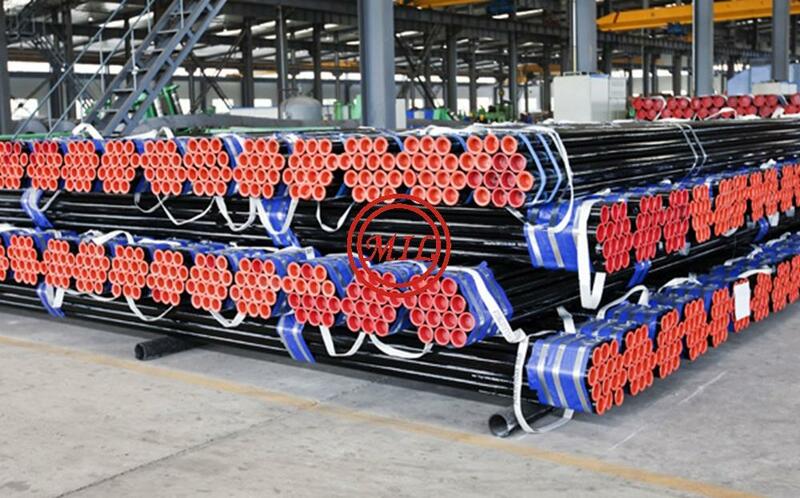 Weld flash is removed from the the inside and outside surfaces of the newly-formed pipe, and the weld zone is heat treated to ensure homogeneity between the base metal and weld. 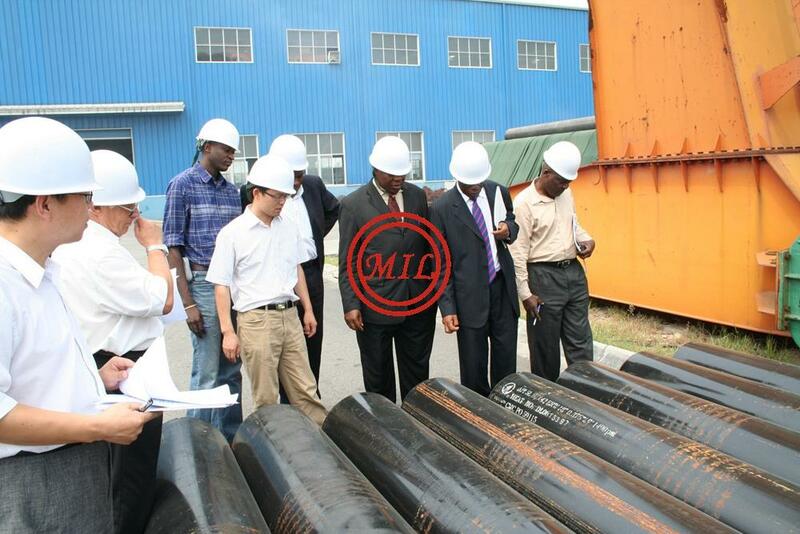 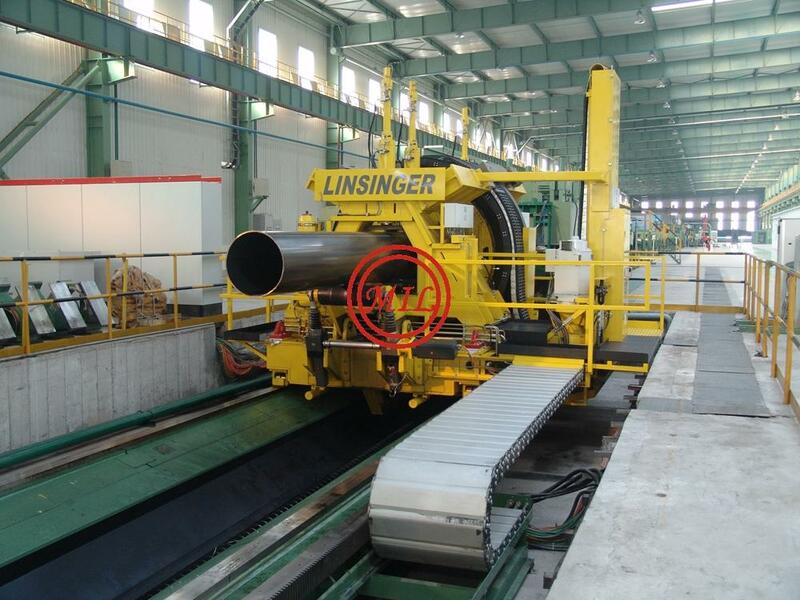 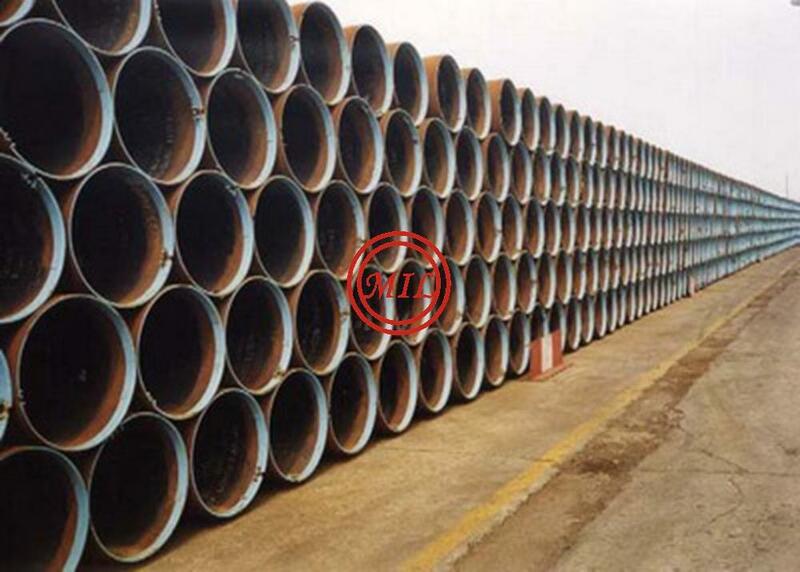 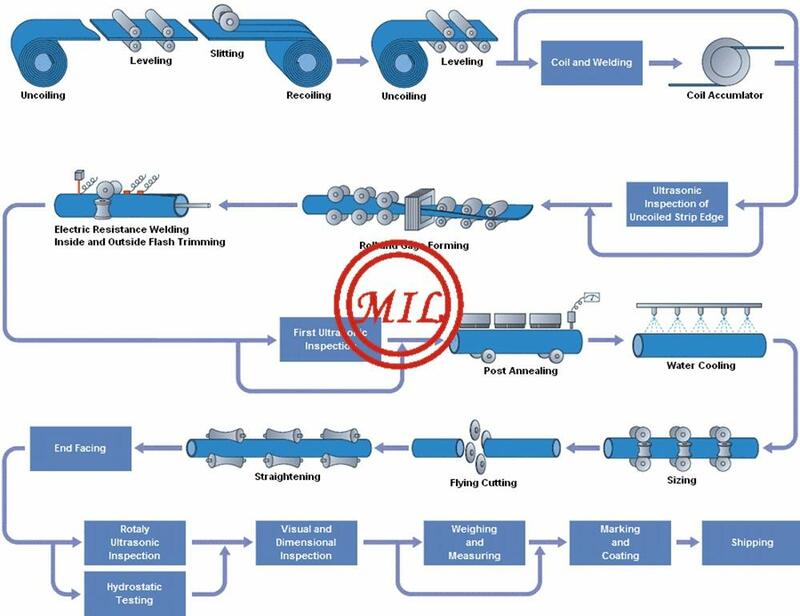 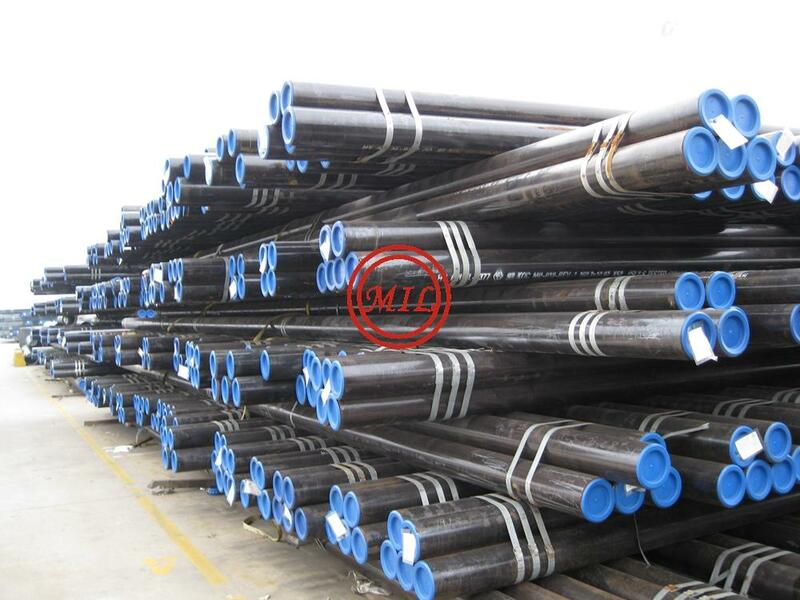 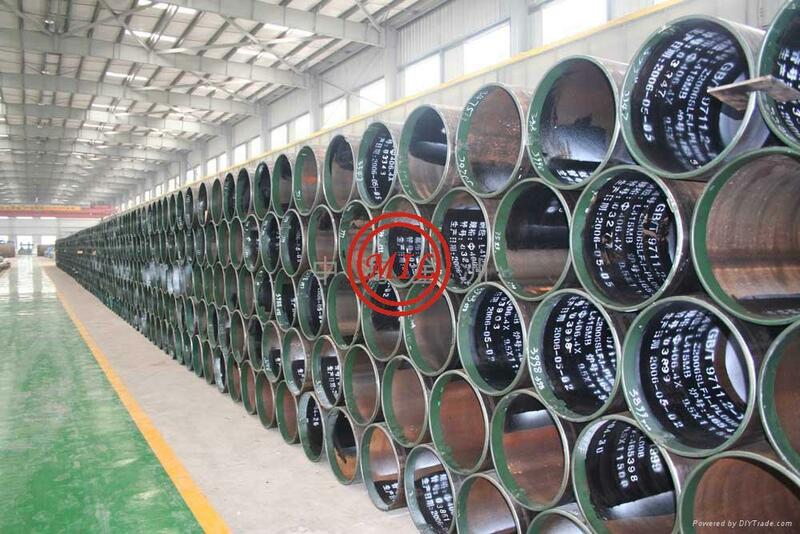 The weld is subjected to in-line nondestructive testing, and the pipe then passes through a series of sizing rolls to attain its precise finished diameter. 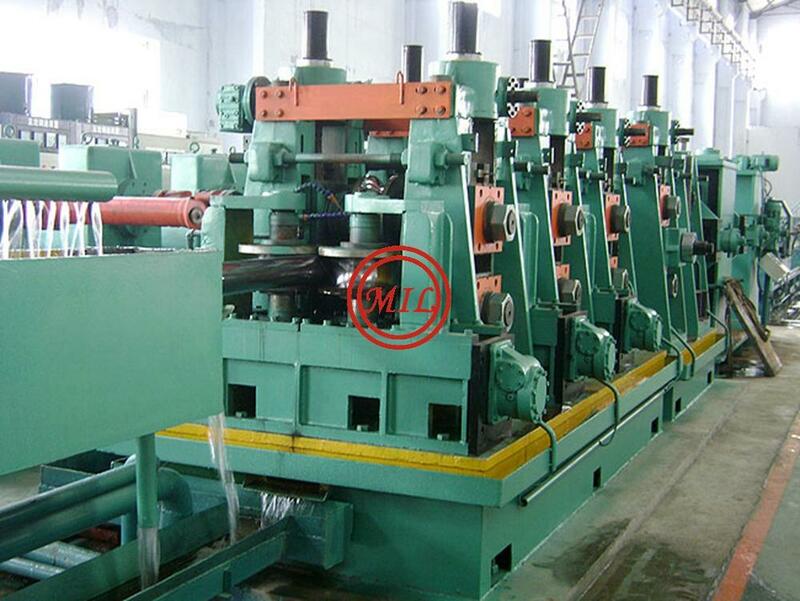 It is then straightened and cut to the desired finished length.